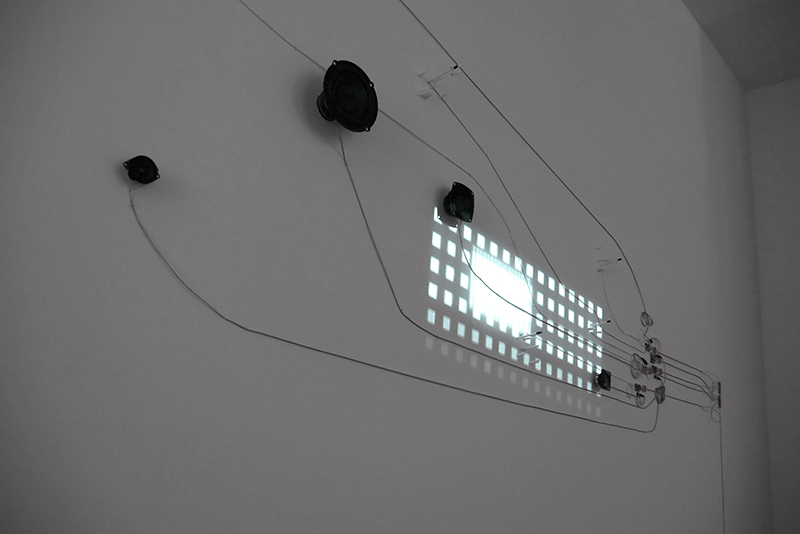 room-size sound and light installation. Modified greeting-card sound modules, found speakers, delay and amplifier circuits, wire, 2-channel projection, audio tracks. 2019. Created for the exhibition Toward the Unsound at the Arts Club of Chicago, January 23 – April 27, 2019. 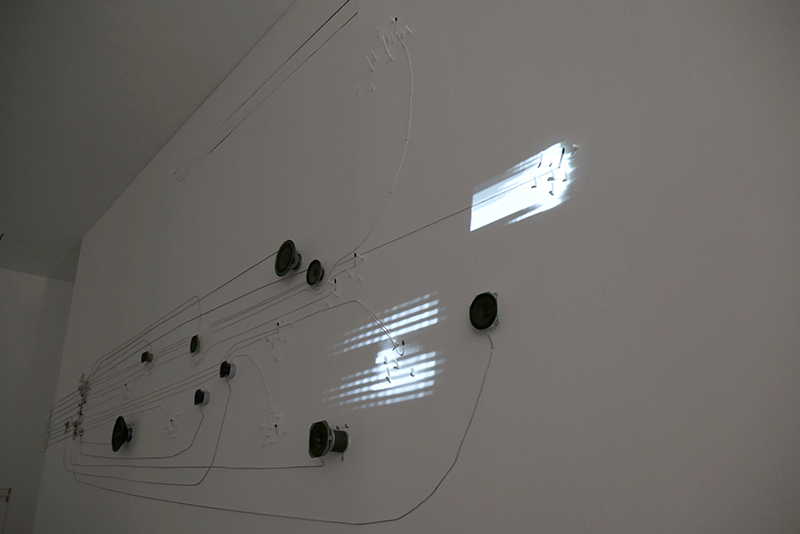 Continuing the photosonic series and possessed of a hybrid of organic and human-made organizational strategies, the installation grows a bit like a vine, or a circuit board; the light sensors seeking stimuli in order to emit their sonic calls. 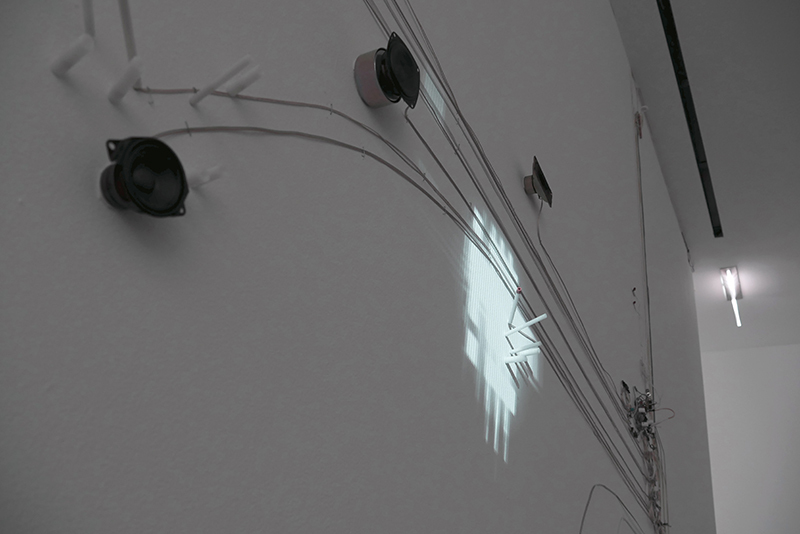 This choir of autonomous individuals is conducted by an animated score of light projections. 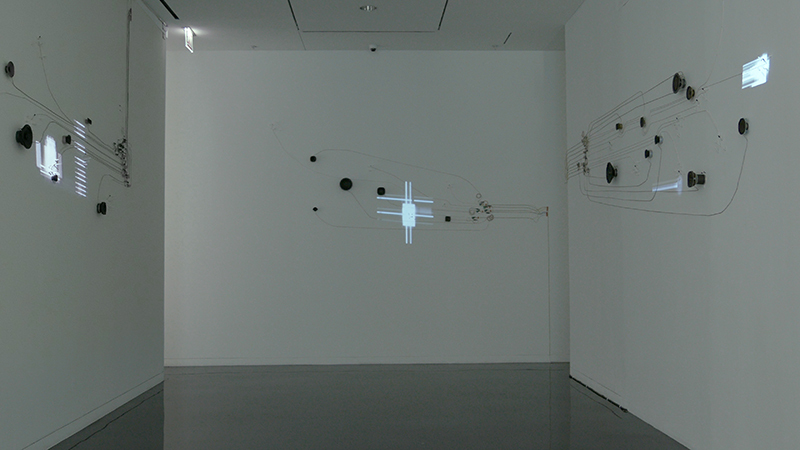 The composition is made from processed electromagnetic sounds collected around the building of the Arts Club of Chicago combined with field recordings. 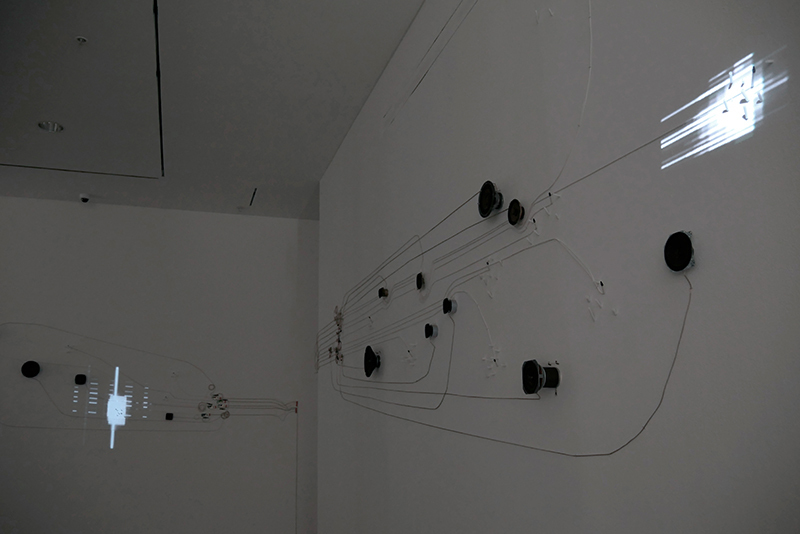 But here’s a tape composition using the sounds from the installation.